Without a doubt, the biggest resource for people tracking down their ancestral history has to be the internet. 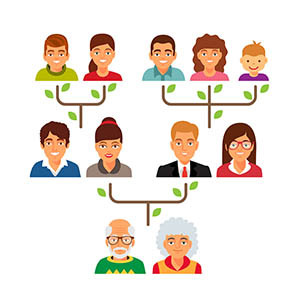 There are a number of online websites specializing in Genealogy databases and receiving around 108 million visits a year, according to statistics from Genealogy In Time magazine. Why do individuals embark on it? According to the anthropologist Strassmann mentioned in our introduction, it’s all down to evolution and the fact we can’t help caring about family (both immediate and cousins, great aunts etc). And if someone cares about you and looks out for you then you’re more likely to survive. It makes sense!